Come and explore this lively Asian marketplace, a unique pop-up shopping extravaganza organised by Asia House which brings together the best in arts, crafts, fashion, food and design from across the Asian region. The eighth annual Asia House Fair will take place from the 3 to 6 March 2016. 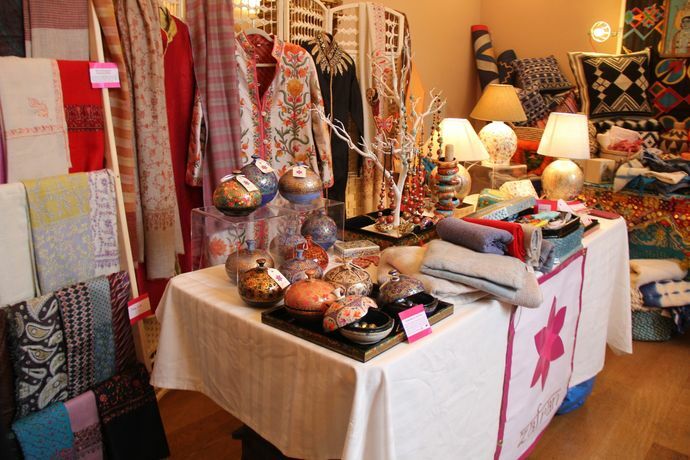 Throughout the four-day event, Asia House’s magnificent London headquarters just north of Oxford Street will be transformed into a bustling bazaar where shoppers will have the chance to buy unique and unusual items not normally seen on the high street including unique jewellery, textiles, arts and crafts sourced from Asia or inspired by traditional craftsmanship. Asia House’s chef Paul Bloomfield will host an Asian street food pop-up café from Friday to Sunday. Be the first to browse and shop at the stalls on Thursday 3 March, and RSVP to attend the exclusive preview night from 17.00 to 20.30. During this free event, you will be able to enjoy a glass of wine or a soft drink, whilst discovering this year’s new stalls. Free limited tickets available. Book your place here. For more information click here. For further information, please email enquiries@asiahouse.co.uk.